Last weekend my husband and I took our little dog Mini for a walk in Plessey Woods , this is a country park close to our home in Northumberland. 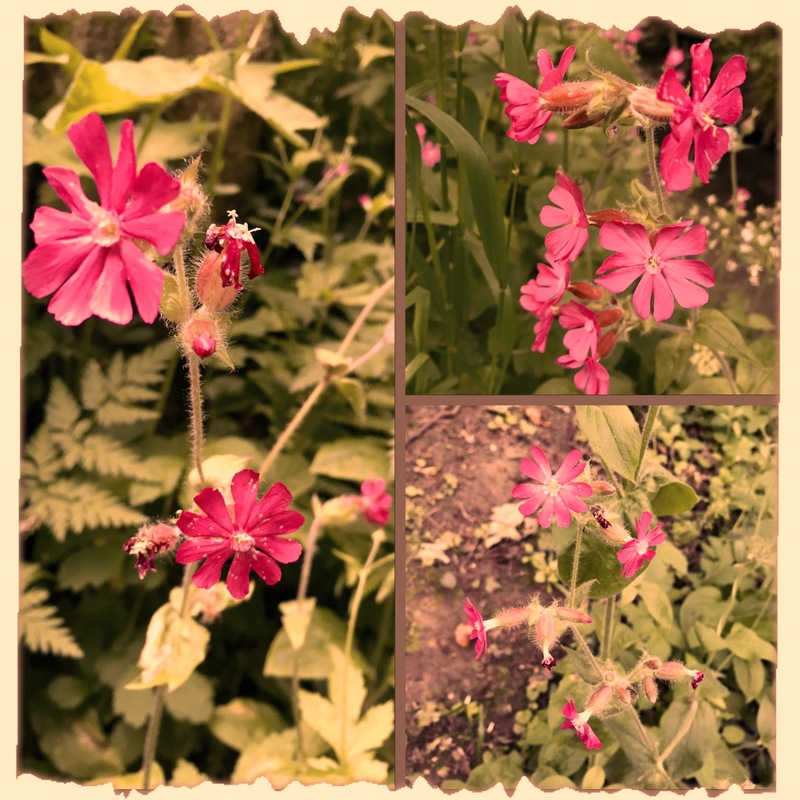 It was a beautiful afternoon and as we walked through the woods down to the river we found the riverbank filled with Red Campion flowers. I love these with their brightly coloured flowers and delicate centres. These photographs have been the inspiration for this embroidery. 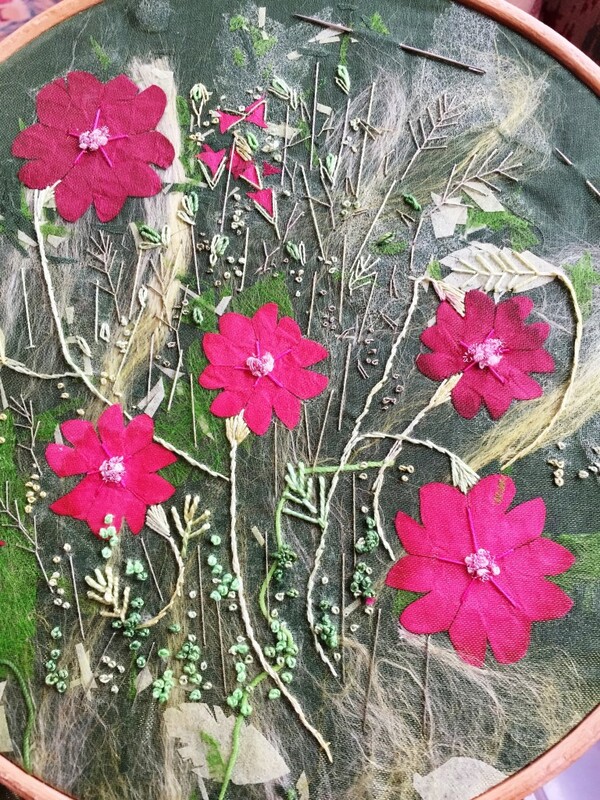 I decided that I would create a layered background for this embroidery. Many years ago I used to teach this workshop and I called it ‘Encrusted Surfaces’, this is a technique that I frequently use as it is simple yet produces a highly textured background. Many people can find it a bit daunting when faced with starting a piece of textile art, I have been asked many questions regarding this concern for example, where do I start? or how am I going to fill this fabric with stitches? This technique allows you to create a background that is not too restrained by your inspiration material and will enable you to be influenced by the colours and patterns of your chosen subject. 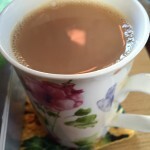 I am going to show you how I have used these photographs as inspiration for a hand embroidery. Top left – Background materials. 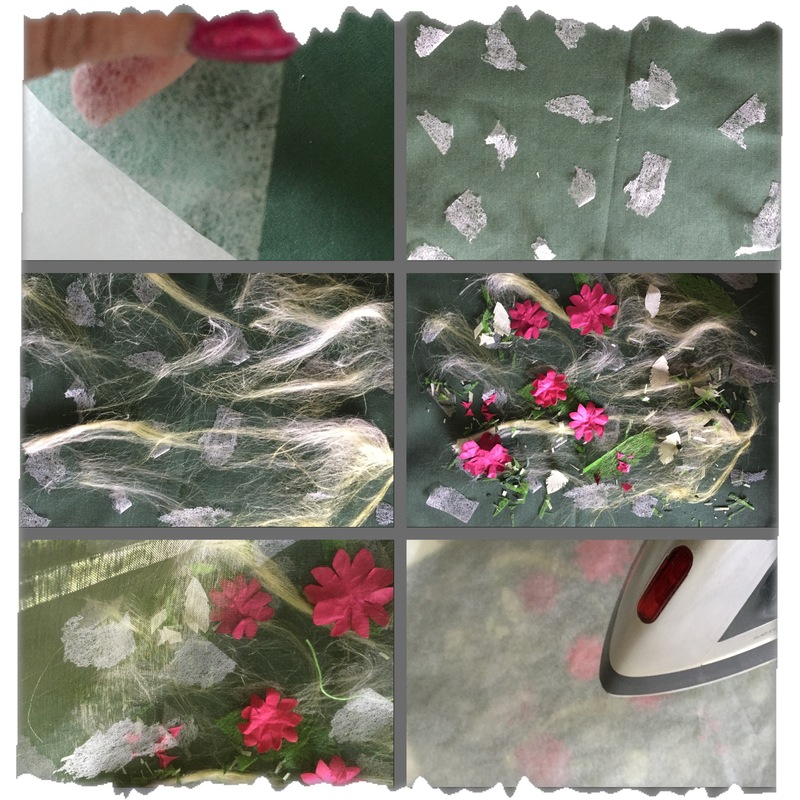 Top right – Cutting hand dyed vilene (lightweight interfacing) into leaves. Middle left – Cutting the paper flowers. Middle right – Scrunching the paper flowers. 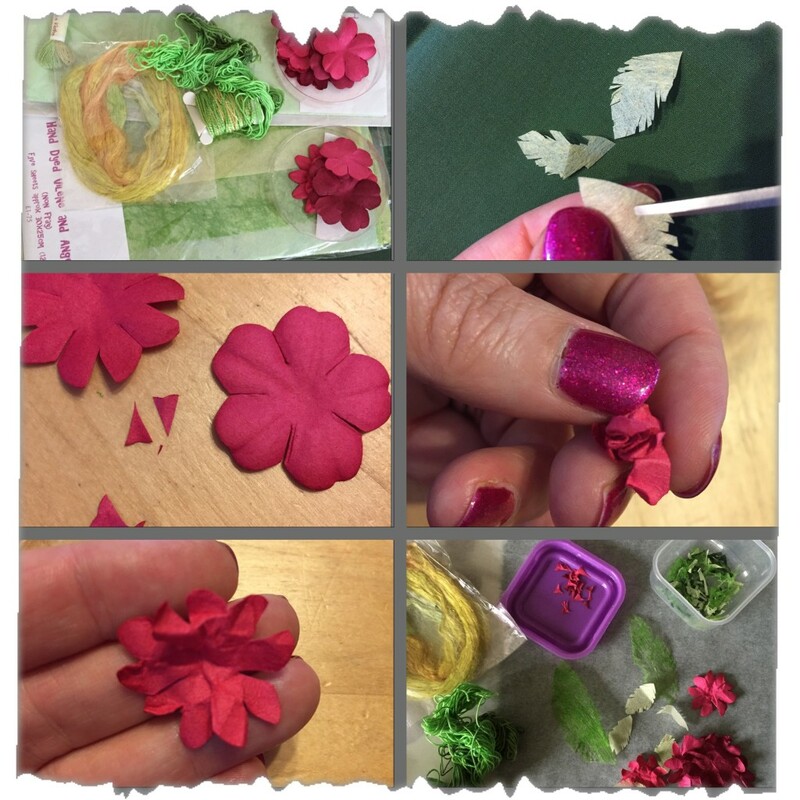 Bottom left – the textured paper flower unscrunched. Bottom right – background materials prepared. The first step is to investigate your stash of threads and fabrics and select shades and textures that will complement your inspiration pictures. I have found a range of green fabrics in varying textures and shades, some hand dyed lightweight interfacing, pink/red paper flowers, hand dyed silk tops and some hand dyed threads in shades of green. The first preparation stage was to cut up the hand dyed interfacing into leaf shapes – I simply cut out a pointed oval and then snipped the edges with my scissors. 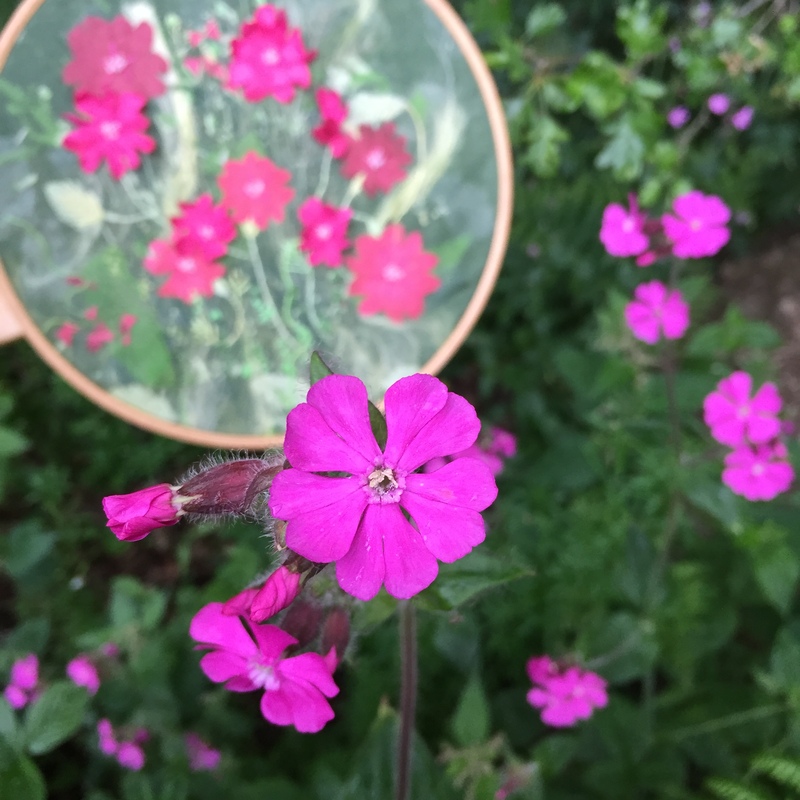 The next stage was to prepare the flowers – I found these paper flowers in the card making section at a local craft store, these were the perfect colours but they were the wrong shape therefore I began by cutting into each petal so that they closely resembled the Red Campion flower shape. The paper flowers were also quite uniform and rigid so I scrunched them up and rolled them between my fingers and then gently unfolded them to produce a textured flower that could be used on the background. I do not throw anything away – all of the cuttings from the above were kept and I also added a few more snippets from the other green fabrics and mixed all of the green snippets together – I found some tiny storage containers, you can see one of these in the photograph above, these are ideal for keeping scraps, you must not mix your colours, you must keep the same colours in different shades together to produce a palette of different colours. Top left – remove bondaweb from backing paper. Top right – tear bondaweb into small pieces and sprinkle onto the backing fabric. Middle left – pull out some hand dyed silk tops and add a thin layer. Middle right – Add fabric snippets, thread and paper flowers and then cover with bonding powder. Bottom left – cover the whole design with fine organza. Bottom right – cover with baking paper and press. 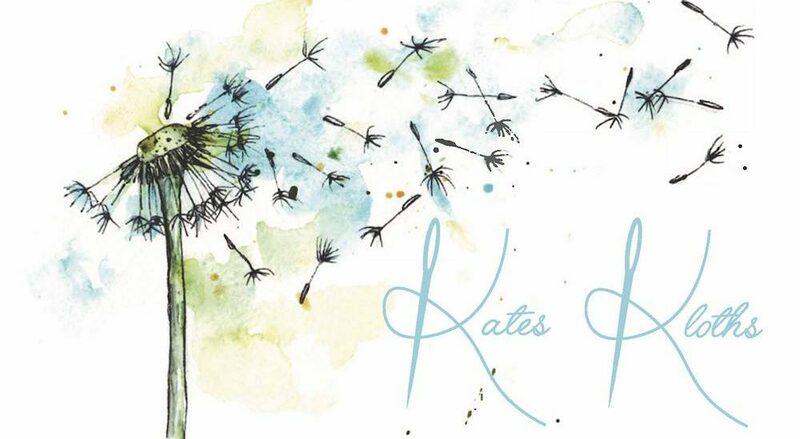 The background is produced by layering, bonding and trapping fabric snippets and fibres. First select a piece of fabric for the back, this must be large enough for your embroidery and strong enough to support all of the layers that are going to be applied. Cotton calico is a good choice of fabric for a light background but for this project I wanted a darker background and therefore I have chosen a dark green cotton fabric. The first layer is bondaweb – this is essential to bond all of the layers together. I find that is you apply a sheet of bondaweb onto the background fabric the completed work is stiff and more difficult to embellish with embroidery. I overcome this by peeling the bondaweb off the baking paper, tearing into small pieces and sprinkling onto the background fabric – this produces a more pliable background. 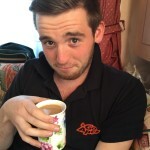 An alternative to using bondaweb could be hemming web. The next layer provides texture for the background foliage – add small slivers of silk top fibres. To do this you must gently pull some fibres out of the silk tops and place on top of the bondaweb – this layer must not be too thick as it only needs to produce a wispy appearance and if it is too thick the layers do not sandwich together very well. The fun starts here – You must now create your design. 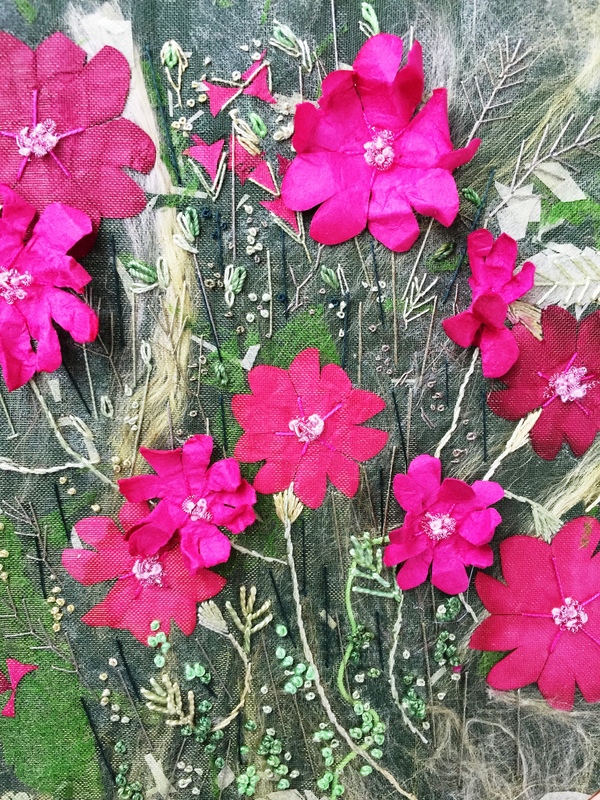 Add the paper flowers, leaves, small lengths of thread and sprinkle with the snippets – I have added the red paper snippets in two areas to represent the buds and flowers in the distance. The green snippets represent the background leaves and foliage. The next layer is an adhesive layer – I find that bonding powder is the best product for this – just add a light sprinkling over the entire design and right to the corners of your backing fabric. If you cannot find any bonding powder then you must remove some bondaweb from the backing paper and tear into small pieces, these are sprinkled over the design. Make sure your bondaweb is in small pieces as it can often be seen in the final design. The final layer will trap all of this work together and therefore must be a very fine organza. I have used a green organza on this design – you must make sure that the organza you choose is translucent enough to show your design and the colour must not dominate your work or mask the design colours. Layer the organza onto the top of your design, cover with baking parchment and press to ‘stick’ all of the layers together. Please please remember to use the baking parchment or your iron will be a mess; also the iron must not be too hot or it will melt the organza. Step three – Have fun! I use many different types and thicknesses of embroidery threads in my work to add dimension and texture to my finished pieces. My threads are all hand painted to add variegated colours throughout. 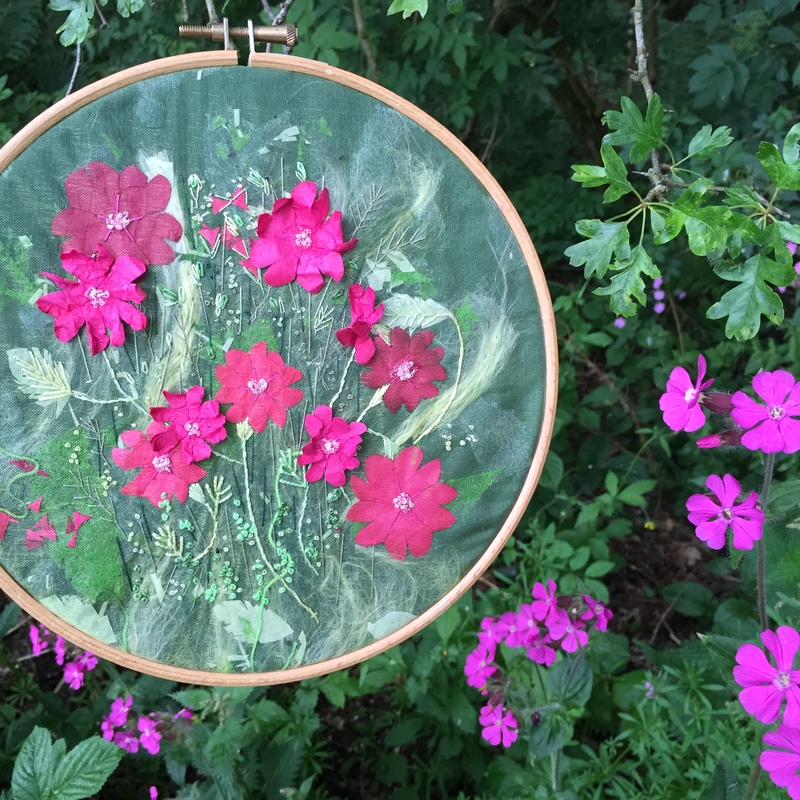 In my Red Campion embroidery I have used the following threads: fine cotton, stranded cotton, fine silk, cotton perle no 8 and mercerised cotton. 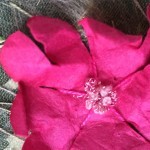 I began by securing the large flowers with five long stitches from the centre to the side of each petal. I added detail to the leaves with fly stitches and used stem stitch for the stems. To create the texture of the flower centres I used a small piece of pale pink purl, this is a very tight spring coil of fine wire, which I pulled to expand the coil. I then twisted this into a small ball and attached it to the flower centres using french knots sewn using a pale pink stranded cotton. 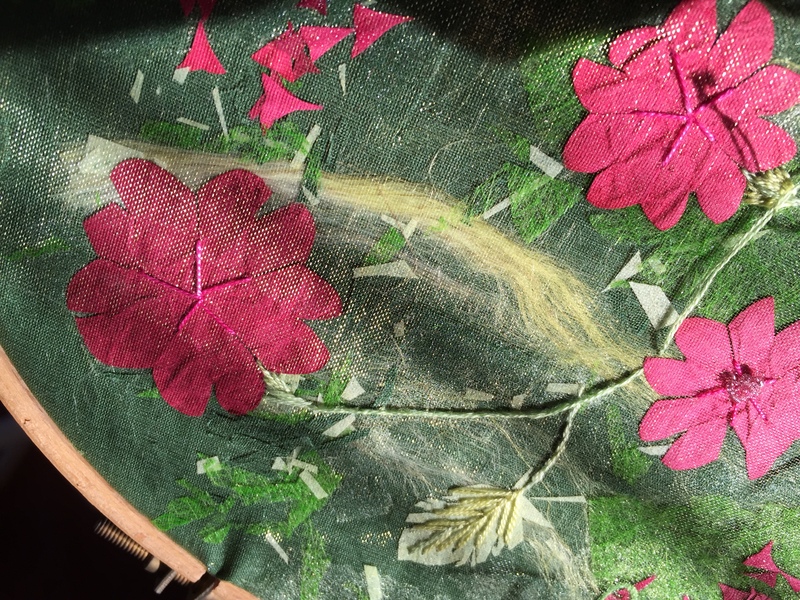 The next stage was to add some detail around the flowers using fly stitch, lazy daisy, straight stitch and french knots however I did not plan the next step that would add some further shading….. I had been working on this embroidery when my son arrived for a visit. 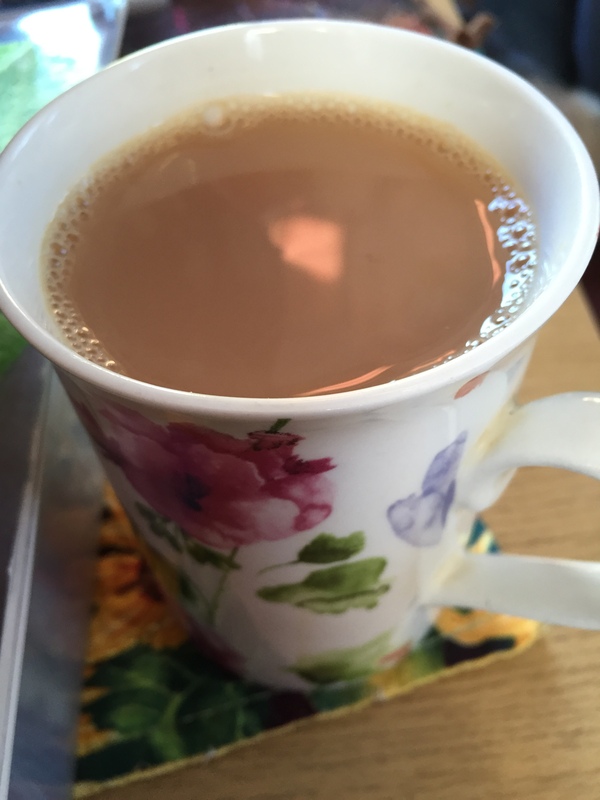 I put my work onto the table next to us and made a cup of tea. 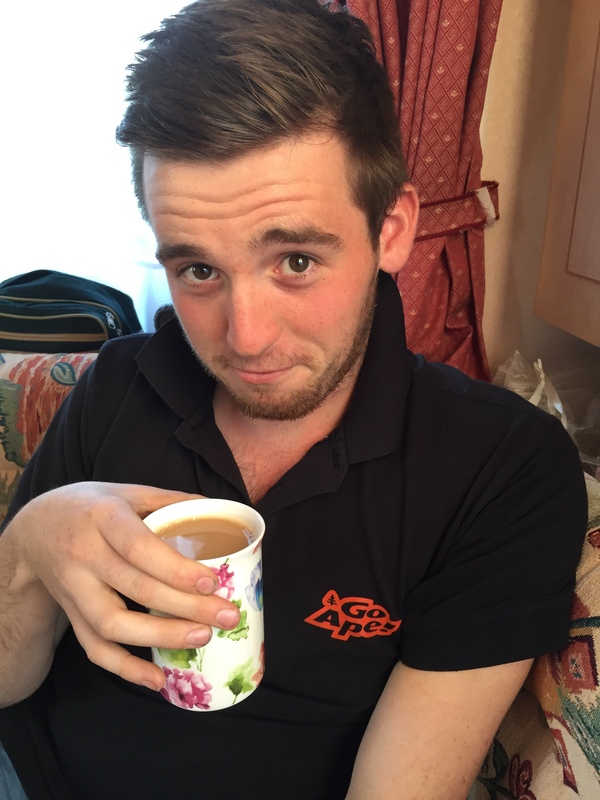 Aunty came in to see us and as Adam stood up to give her a hug, with tea in hand, he spilled some of it onto my embroidery – The fabric dried well however there is a bit of staining on my paper flowers. This just goes to show that nothing in life is predictable and this shading has added some depth to my work – can you spot it? Adding embroidery to the background. 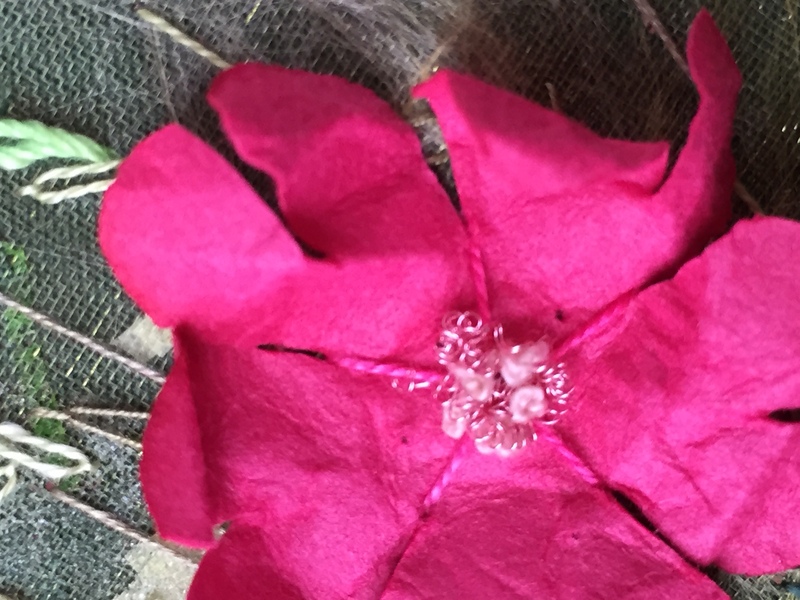 Close up of flower centre to show detail of uncoiled pink purl and pale pink french knots. To finish this and add further dimension I prepared some more paper flowers in the same way as I had for the background. These were added to the foreground using straight stitches, uncoiled purl and french knots. This kind of embroidery is perfect for hoop art. Here are some photographs of the final piece. I hope you have a play with this technique. I think the tea stains give the illusion of depth, giving the final piece a much more pronounced 3D effect!